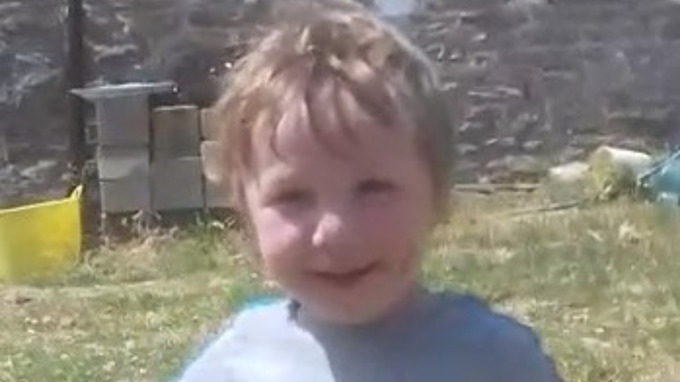 A three-year-old boy was accidentally killed after being hit by a vehicle driven by his dad on their family farm in Wales, an inquest heard. Efan Lloyd Williams died at the scene on his family's farm near Llanybydder, Carmarthenshire on Saturday 21 October 2018. The young boy fell out of the back of the Land Rover his dad Dewi Williams was driving as it reversed, Wales Online reports. He suffered “catastrophic and unsurvivable” injuries to his head and skull following the fall from the rear door. Coroner Mark Layton told the inquest on Friday 5 April that the 'accidental death' was a 'terrible tragedy'. A police spokesman said at the time: “At approximately 4.25pm on October 21 police received a report of a collision involving a child and a vehicle at a private property near Llanybydder. Ceredigion councillor, Euros Davies added: “All our thoughts and prayers are with the boy’s parents and the two other children. You just don’t expect anything like this to happen.